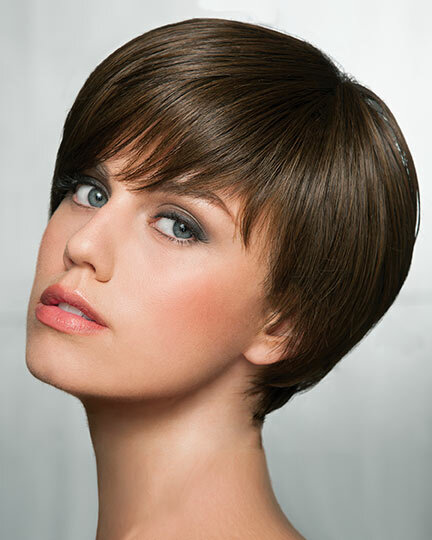 Most heat friendly / heat defiant / heat resistant wigs are made from syntheic fibers. 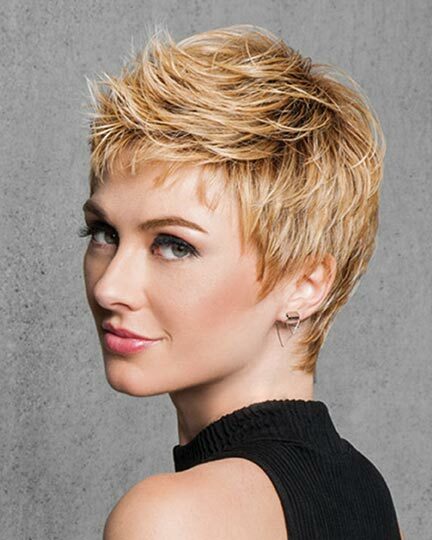 Only a few years ago heat resistant synthetic fibers were the newest and most exciting technological advancement in the alternative hair marketplace since you could create your own unique hairstyle with a heat resistant wig whenever you wanted a new look. 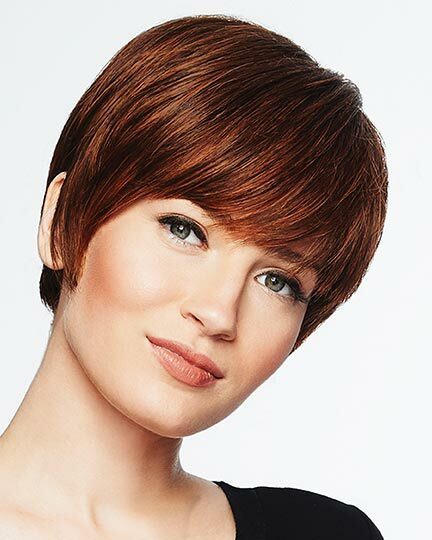 In the fall of 2011 Envy wigs changed the playing field in heat friendly fiber technology with their introduction of a unique blend of 30% human hair and 70% synthetic fiber. 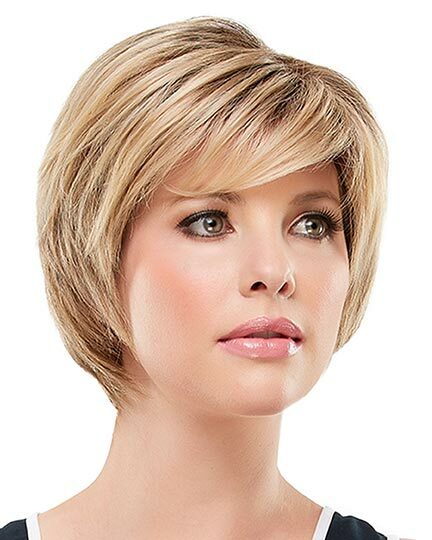 You will find that as each wig manufacturer introduces their heat resistant synthetic fiber wigs or heat friendly human hair and synthetic fiber blend, they use a proprietary term to describe it. 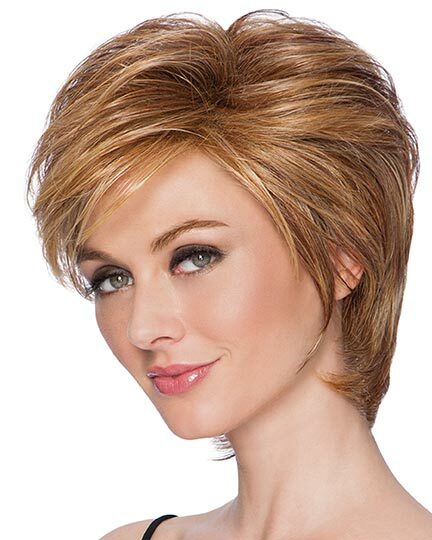 For instance, Rachel Welch and other Hairuwear wigs along with Envyhair use the term “heat friendly.” Jon Renau uses the term, " heat defiant," while Tony of Beverly and Envy wigs use the term, "heat resistant." The wig shown at the right is Red Carpet by Revlon. 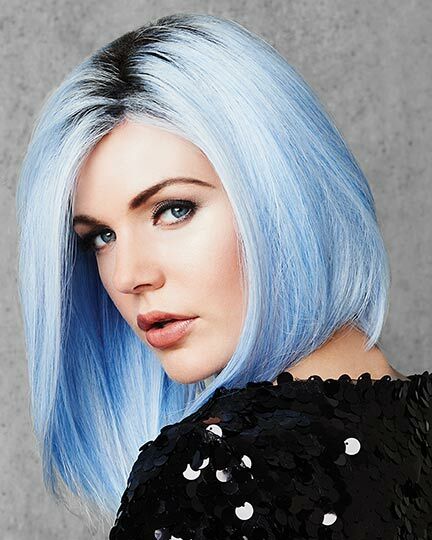 Heat Resistant, Heat Friendly, or Heat Defiant - all these terms are used to describe wigs with synthetic fibers or a blend of human hair and synthetic fibers that allow you to easily and completely change the style of the wig. 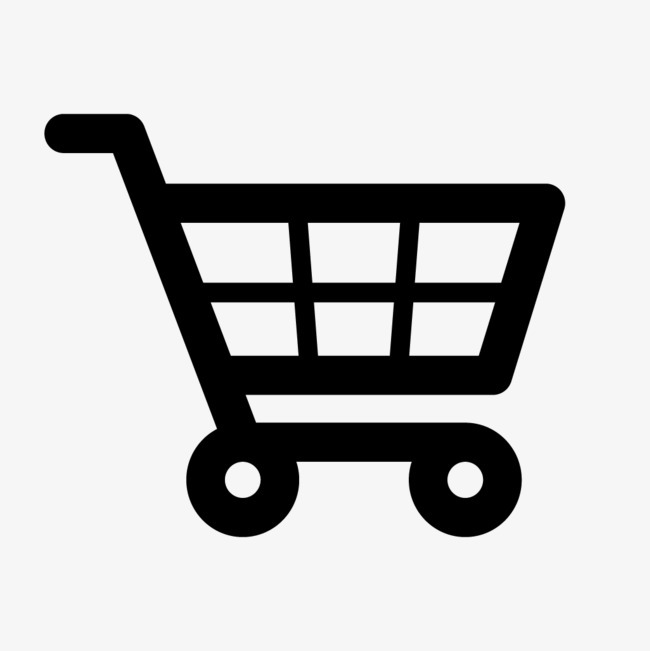 Please be aware that many-but not all, heat friendly / heat defiant / heat resistant synthetic wigs arrive straight, even though you may see images on our site with models wearing the heat friendly / heat defiant / heat resistant wig styles with curls or waves. Please give us a call, if you are not sure if your selected wig style arrives straight or wavy. New technology allows wig manufacturers to create heat friendly / heat defiant / heat resistant synthetic hair fibers that allow you to use your own thermal styling tools - curling iron, rollers, blow dryer or flat iron - to add curls or waves right where you want them. 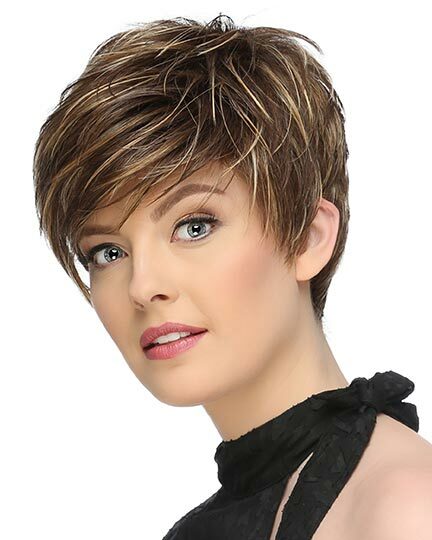 A growing selection of wig styles made with synthetic fibers handle heat up to 350 degrees F are now available, so you can create the hairstyle you want, when you want it. In addition the new 30% human hair and 70% synthetic fiber wigs from Envyhair allow you to use most heat appliances up to 410 degrees Fahrenheit (that's 210 degrees C), although we suggest you keep your heat styling appliances at heat settings that are lower. 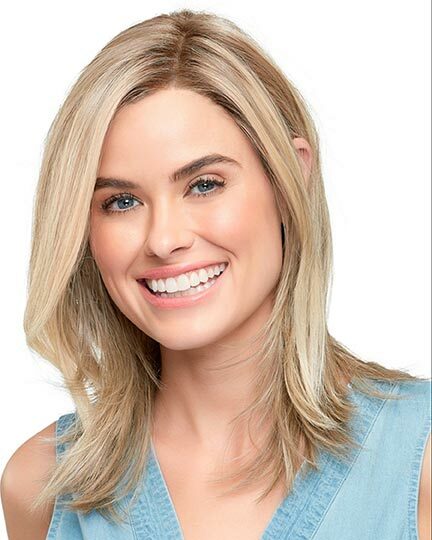 Enjoy browsing through the variety of lengths and styles in heat friendly / heat defiant / heat resistant wigs, elegantwigs.com offers. Short, long and all lengths in-between - just imagine the possibilities! 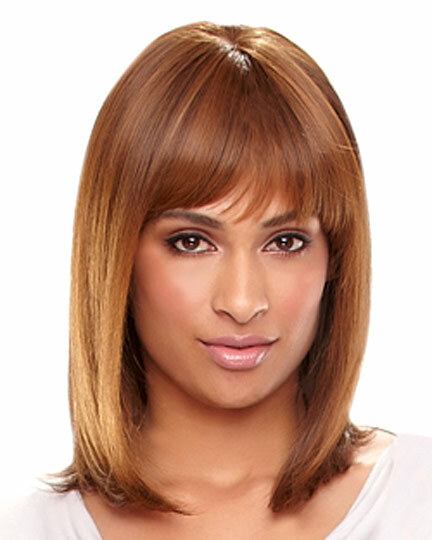 elegantwigs.com specializes in the highest quality heat friendly / heat defiant / heat resistant wigs from the top designers, with the guaranteed best price, plus free shipping on all wigs. 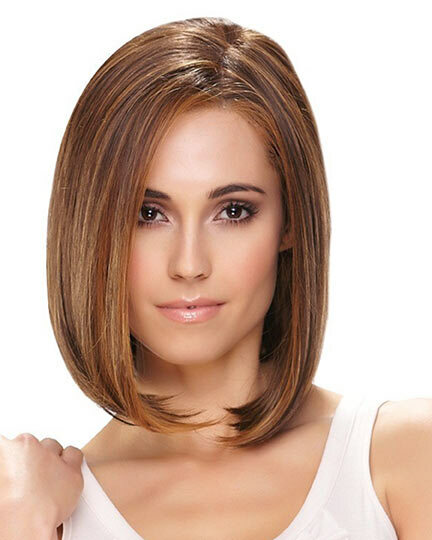 Below you will find our selection of All 154 All Heat Resistant, Heat Friendly, or Heat Defiant Wigs for your fashion pleasure. Viewing PAGE 3 of 4. There are 154 Synthetic Heat Resistant Wigs on display. 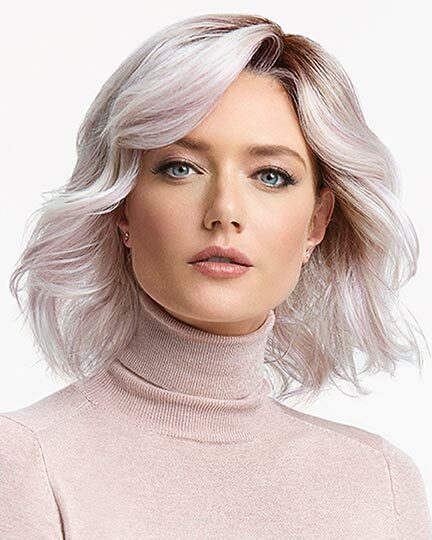 Whether you are a first time purchaser or a return purchaser of heat friendly / heat defiant / heat resistant wigs, there are a few pointers to getting the best results as you style your fabulous new wig. When you are using rollers or a curling iron to style your heat friendly / heat defiant / heat resistant synthetic wig, set the curl with medium heat, and then let the device cool while holding the hair in position. 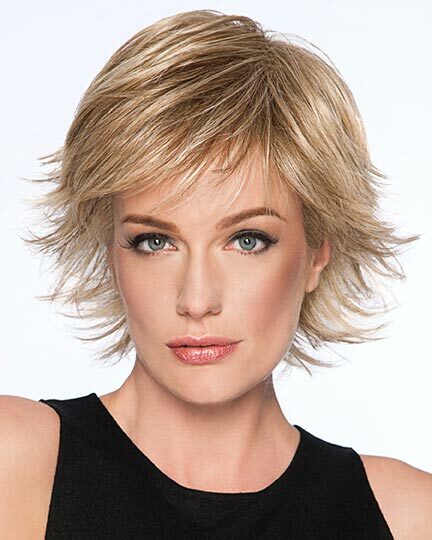 At elegantwigs.com we suggest that you never go above a medium setting with any thermal hair styling device, although as technology improves higher temperatures up to 350 degrees are acceptable for certain fibers. Any style you create with your heat friendly / heat defiant / heat resistant wig will remain "locked" into place until heat-styled again. 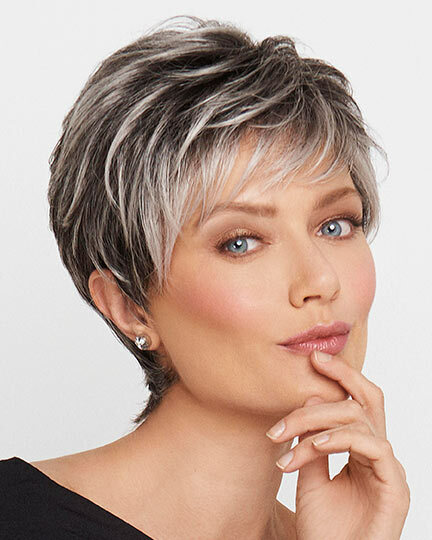 Heat friendly / heat defiant / heat resistant synthetic wigs offer innovative fiber technology that allows the wearer the same styling options as you have with natural human hair. And just like human hair do not set your thermal styling devise so high as to damage the synthetic fibers. At a moments notice you will be able to create fresh looks with the use of your rollers or curling iron. To straighten those curly locks, simply slowly run your flat iron over the heat friendly / heat defiant / heat resistant wig fibers. If you wear a synthetic wig while preparing food in your kitchen, you probably are already aware what excessive heat can do to those synthetic fibers. 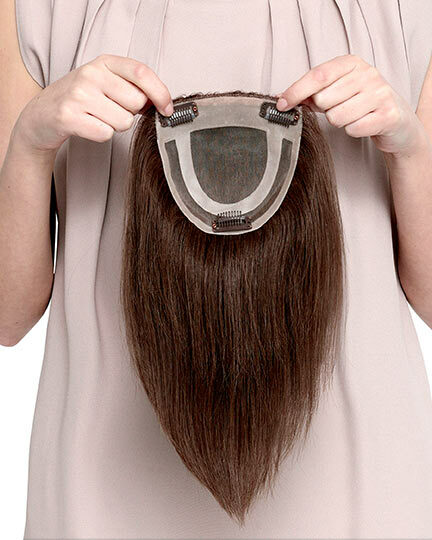 With the technologically advanced synthetic fibers of heat friendly / heat defiant / heat resistant wigs you no longer need to worry when checking on the roast in the oven or taking the cookies out when they are done. The outdoor grill can now become your friend and no longer needs to be avoided when having a barbeque. And during the summer evenings you can sit right next to the fire when toasting marshmellows with the kids or grandkids. 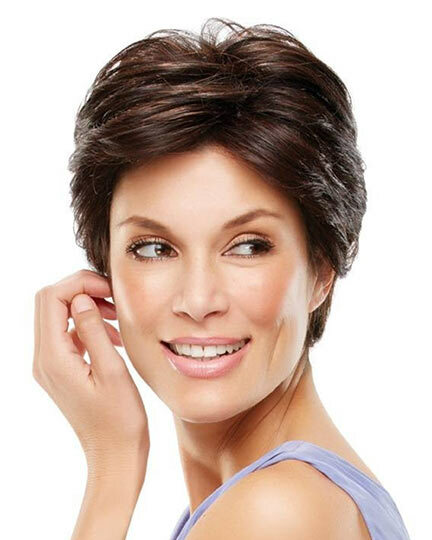 Synthetic, heat friendly / heat defiant / heat resistant wigs take the worry out of your everyday living with direct heat from a number of sources. 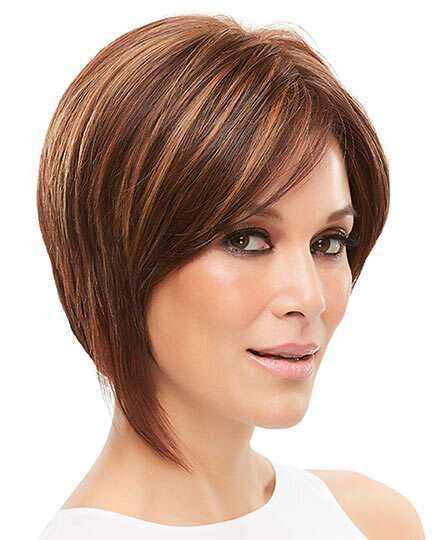 At the moment elegantwigs.com offers synthetic heat friendly / heat defiant / heat resistant wigs from the wig manufacturers: HairUWear -check out their Raquel Welch and Hairdo brands, Tony of Beverly, Jon Renau, and Envy Wigs. 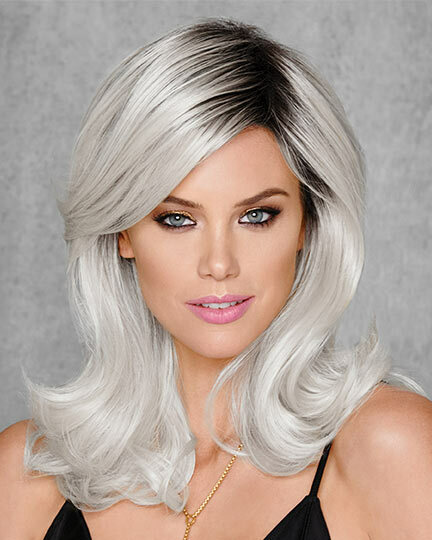 However, as the market for heat friendly / heat defiant / heat resistant wigs develops, we expect to see even more wigs manufactures introducing their heat friendly / heat defiant / heat resistant wigs, offering more options for folks like you. 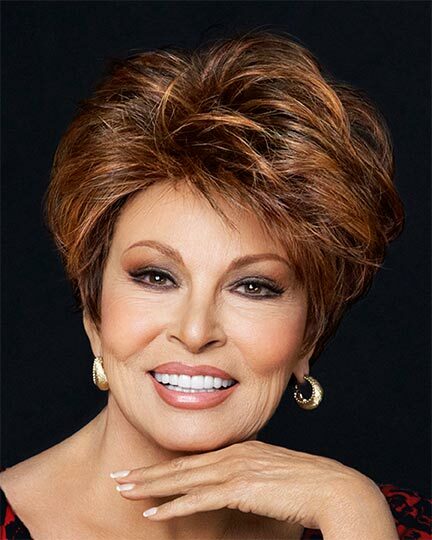 If you decide to buy a Raquel Welch synthetic heat friendly wig please be aware that the color ring for this type of wig is different from the regular Raquel Welch synthetic wig fiber color ring. 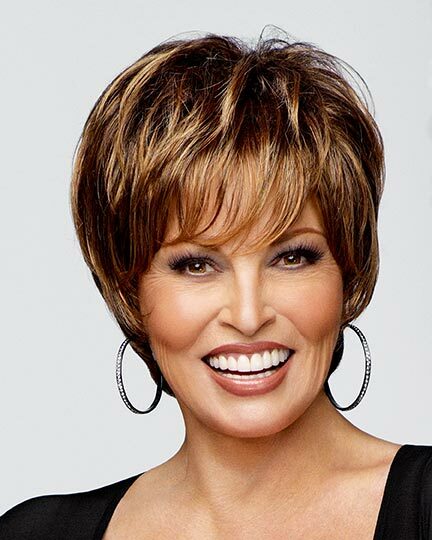 Look for the Raquel Welch RL color ring that has the samples for their Tru2life synthetic fiber, heat resistant wigs. 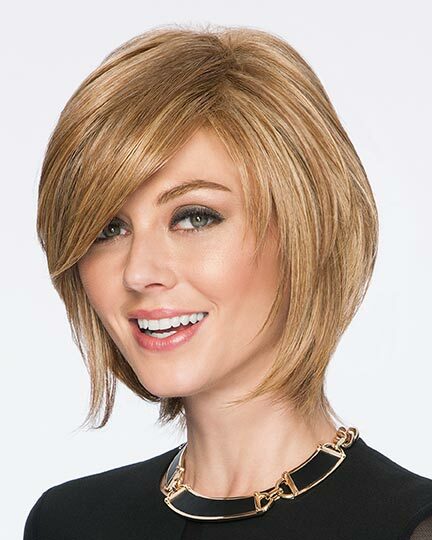 Some synthetic fiber, heat friendly / heat defiant / heat resistant wigs arrive with NO curls so you can create your own great look. Occasionally other synthetic fiber heat friendly / heat defiant / heat resistant wigs arrive with curls or waves.